Tensioned Sovalit - Sovatec Industriale S.r.l.Tensioned Sovalit - Sovatec Industriale S.r.l. ln tensioned SOVALIT the screens are provided with tensioning steel hooks, connected by round steel wires completely included in the polyurethane. The screens “work” with the usual bending. 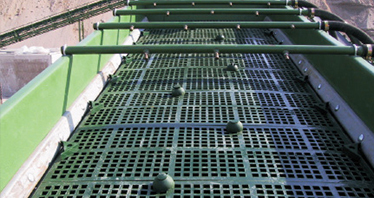 The screening surface is flexible in order to prevent the clogging. By this way the right balance among stiffness, elasticity and strength is obtained. The supporting structure, completely included in the polyurethane, has a loading capacity higher than the usual grids and is not subject to corrosion. 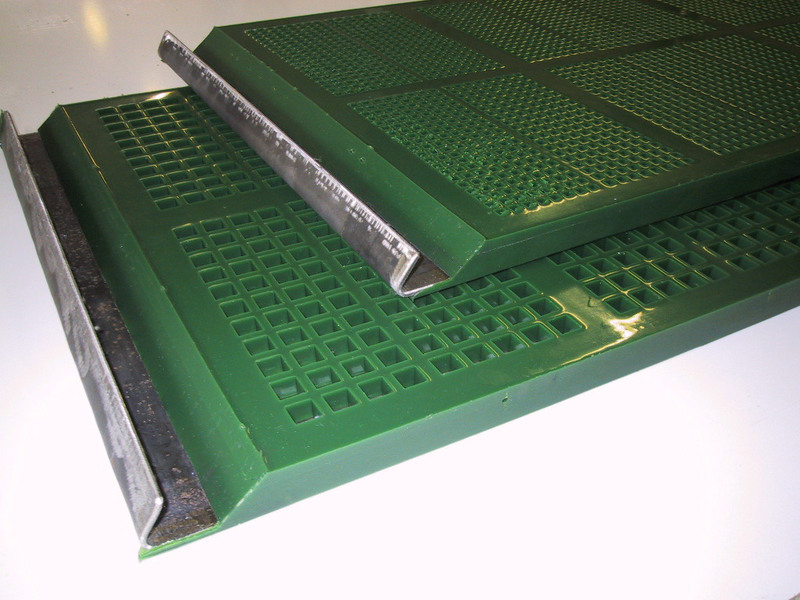 All the SOVALIT grids are moulded, therefore the holes have a precise conicity in order to prevent the clogging when treating material having the grain size close to the opening.